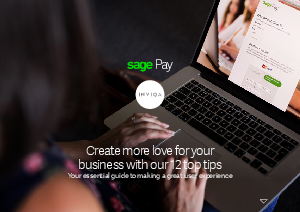 Create more love for your business with our 12 top tips. A good experience means more sales. A bad experience will not only stop you converting customers, but will effect your reputation as a brand. Many websites offer the same or similar products and services—if your shopper can’t find what they’re looking for easily, they’ll simply move on to the next site. Alongside our partner and e-commerce expert INVIQA, we’ve compiled our 12 top tips to help refresh your website’s usability. These little changes are easy to implement and could make a big impact to your conversion rates.